I’ve wanted to create a website like this for a long time. The hardest thing for me was how to introduce myself and the site in a way that would convince you that the information provided is valuable and worth your time. I have been lucky enough to have had my career parallel the development of quality. You could say that I grew up with the quality movement in North America, including all of the dead end side trips, the instant silver bullet solutions and the “If it’s Japanese it has to be good” schools of thought. I have learned to be both open to new ideas and skeptical of them. I don’t like business books that are long on theory and short on practical ‘how to’ information. I try to critically analyze new business and quality initiatives. The information and ideas on this site are the result of this, 35 year plus, journey. My education was in Industrial Engineering, while my experience has been in Quality and Management. My general approach therefore is to create the best result with the least effort (efficiency and effectiveness). I received my first experience as an instructor and teacher as a teenager and young adult in the Canadian Army Reserve. My interest in leadership was born during this time and I have maintained a keen interest in leadership ever since. A spin off of my interest in leadership became a lifelong study of management. My early work experience was as a quality technician and quality engineer in the automotive parts manufacturing business as well as in making guns and ammunition for Winchester Western. My quality skills developed as a Supplier Quality Engineer and Quality Manager with Xerox Canada. Most of the time since Xerox has been as a Management Consultant, Trainer and Quality Systems Auditor. There were two short stints as a General Manager, two years in manufacturing and two and a half years in import/export, which included some time developing factories in Pakistan. There was also a four year period as a Senior Manager for KPMG. Over the years I have spoken to many organizations and spent some time as chief adjudicator for the Guelph Quality Awards (a municipal business excellence award program). As a certified ISO 9000 and TS 16949 auditor, I have performed hundreds of quality audits in numerous organizations and varied industries. But basically I am an instructor. I have taught hundreds of courses in quality auditing, problem solving, 5S, performance measurement, process improvement and management system design. I have helped organizations in varied sectors to develop, and improve their management systems. These include Hospitals, Government, Manufacturing, Retail, and Import/Export. And now my goal is to take what I have seen, and what I have learned, and provide these insights, ideas and methodologies to you. I don’t claim to be the smartest person but I do think that what I have learned is valuable and important and I hope that you will agree. I am not finished learning and therefore I would be pleased to receive your feedback on the information and ideas that you find at this site. 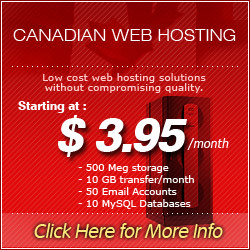 We're powered by Canadian Web Hosting. Amazing service and support! The real thing.